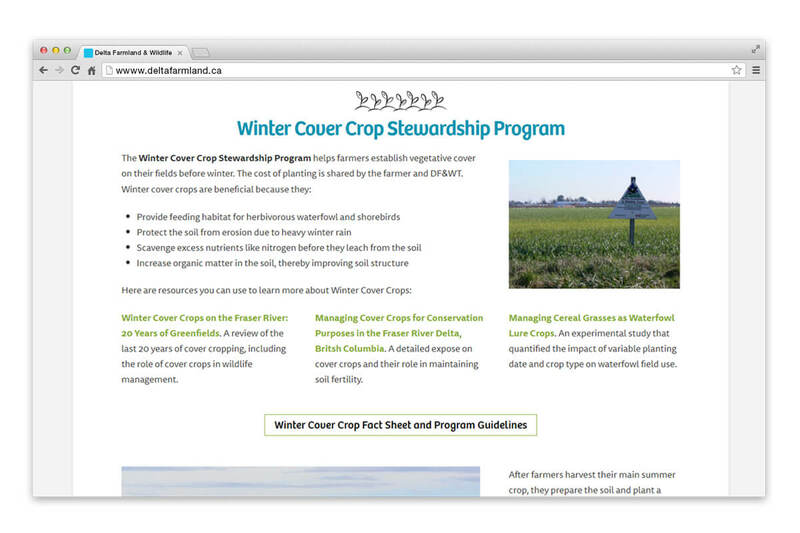 Delta Farmland & Wildlife Trust | NetClimber Web Design Inc.
NetClimber Web Design developed and hosted Delta Farmland & Wildlife Trust’s custom CMS site for seven years. They returned to NetClimber to update the design and website platform. 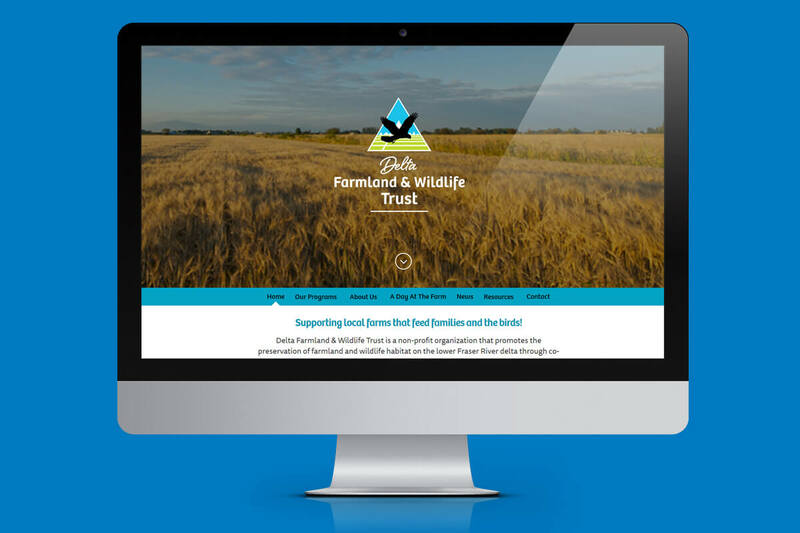 We chose the WordPress platform and X theme because of the flexibility in development and design, and feasibility in maintaining the website in the future. 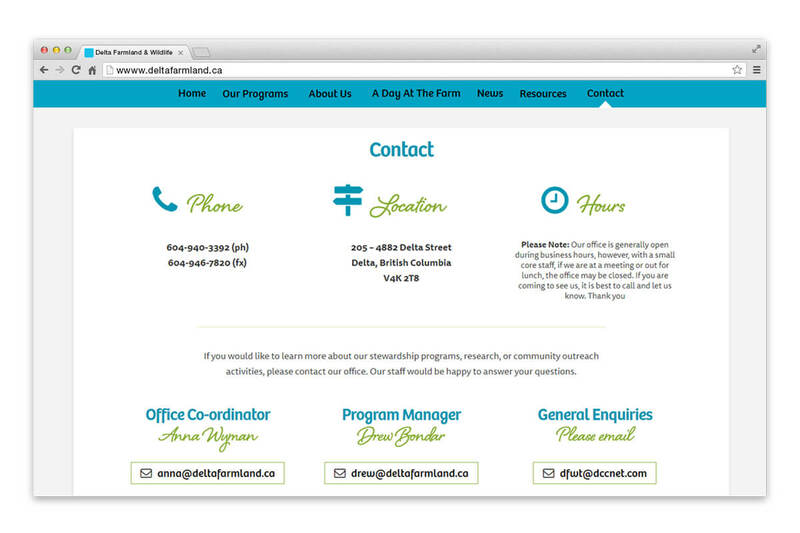 The new website integrates a new bright colour scheme and custom made icons that showcase their unique programs. 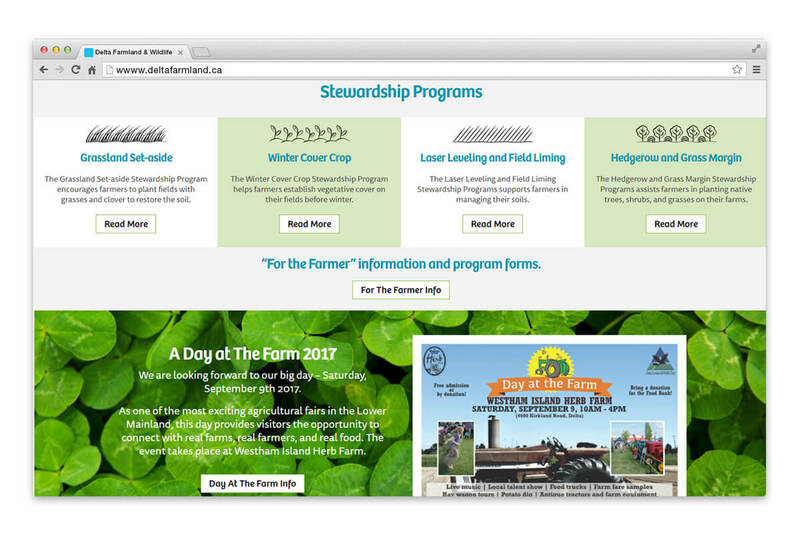 The DF&WT’s new website is completely responsive, so it presents well on smartphones, tablets, and computers. 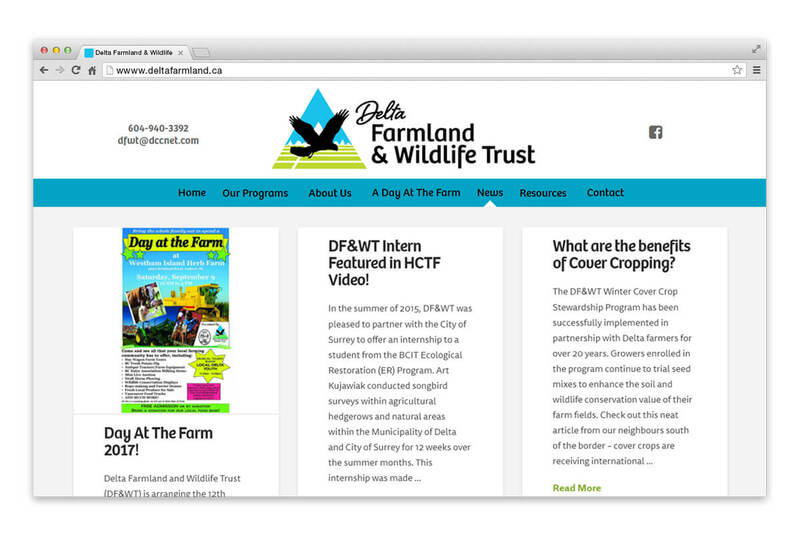 To help get the site launched as soon as possible, Delta Farmland & Wildlife Trust contracted NetClimber for content entry services.